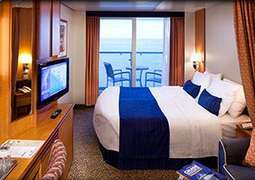 The Radiance of the Seas is the perfect cruise ship for all travelers, whether you want the sun in the picturesque Pacific or an adventure to wild Alaska. 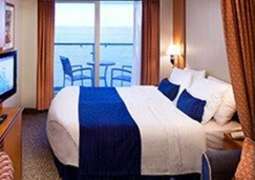 On board the Radiance of the Seas your desires for entertainment, dining and activities are guaranteed to be fulfilled, as you cruise to destinations like Hawaii, Alaska and Australia. If you have a love for good food restaurants like ‘Giovanni’s Table’, serving up rustic Italian food in a family friendly atmosphere, and ‘Samba Grill’, an authentic Brazilian steakhouse, will make sure you never go hungry. As with all Royal Caribbean cruises there is a selection of bars so you can choose between the ‘Champagne Bar’ or the ‘English Pub’ and more. If you like to keep active then the Radiance of the Seas is perfect for you with sports courts, a running track, fitness centre and swimming pools. For those feeling a bit more adventurous, try out the rock wall to discover the most amazing views on board. When you feel like entertainment the Broadway-style shows in the three-story main theatre is for you and the ‘Casino Royale’ will give those feeling a lucky a chance at Blackjack, Roulette and more. With the Radiance of the Seas no one will be leaving their memorable voyage disappointed. Radiance of the Seas offers a range of speciality dining on board. While on board you can enjoy different cuisines from around the world, at 'Giovanni's Table' indulge in exquisite Italian cuisine while sipping on a glass of wine while 'Rita's Cantina' offers your favorite Mexican food. You'll be able to try something new every day with endless choice on board. During the day you’re also welcome to enjoy a coffee in one of the many cafés, or treat yourself to a ice cream while enjoying the stunning views from . You’re sure to stay entertained throughout your journey on board the Radiance of the Seas. Take advantage of the multifaceted entertainment programme, including great performances on the ice rink and in the studio. Each evening you will be mesmerised by Broadway-style entertainment in the three storey Main Theatre. On board you can choose between 16 different bars, clubs and lounges, each having its own exclusive experience. 'The Colony Club' has self leveling pool tables and the atmosphere is buzzing while you can enjoy a nice evening at 'Quill & Compass Pub' with a more sophisticated atmosphere. You will never experience a dull moment on board Radiance of the Seas, activities are endless, with numerous options ensuring that everyone will find something just for them. For guests who would like to keep active while on board the range of action is spectacular with a rock climbing wall, basketball court, jogging track, mini-golf course and video game arcade your spoilt for choice. For family fun activities there are contests on board along with games and much more. If younger passengers want to meet new friends the Adventure Ocean youth program does just that. For the toddlers and babies aboard there is Royal Tots and Royal Babies and not the forget about the older teens there is exclusive lounge areas and a disco held on different nights of your cruise. Refresh and revitalize at the Vitality Spa on board. Choose from several different treatments and enjoy utter relaxation or spend time by any of the 3 pools on board including the Solarium for adults only, the options really are endless! Keep fit in the fitness centre with classes including yoga and tai chi. Find great souvenirs in some of the boutique stores on board. Guests can expect to find a wide variety of clothing, perfume and much more available for purchase on board. Prepare to be dazzled aboard Royal Caribbean’s Radiance of the Seas. With a nine-story central atrium and floor-to-sea windows offering panoramic views, Radiance of the Seas is a stunning spectacle. Launched in 2000 with its home port in Nassau, Bahamas, this 2,143-passenger vessel exceeds cruising standards. Guests aboard Radiance of the Seas can expect top-of-the range service from a professional crew of over 850 members who provide round-the-clock service to make sure your stay on-board is one of luxury. 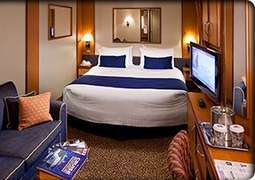 On a Radiance of the Seas cruise you will be spoiled for choice. Royal Caribbean is renowned going above and beyond when it comes to dining; it has a vast array of dynamic restaurants, ambient bars and laid-back lounges across its entire fleet. In the Main Dining Room you can find complimentary breakfast, lunch and dinner. For a succulent steak, you can dig in at Samba Grill Brazilian Steakhouse, or for an oriental feel you can head down to Izumi Japanese cuisine and enjoy it’s selections of a la carte sushi. For a mid-morning coffee, guests can meet friends and unwind by the sea at the Royal Caribbean favourite, the Windjammer Café. With a full list of extensive treatment options, Radiance of the Sea’s Vitality Spa is the ultimate retreat. You will never have to worry about gaining too many pounds on-board with Royal Caribbean’s top-class State of the Art fitness Center, where you can take classes in yoga and tai chi. 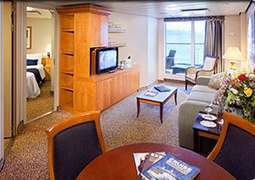 Royal Caribbean prides itself on its exclusive lounges, which cater for both adults-only and families. Across the whole of Royal Caribbean’s fleet you can experience legendary Broadway-style entertainment, and Radiance of the Seas is no different. Try your luck and check out the large Casino Royale®, Royal Caribbean’s exclusive Vegas-style casino of the high seas! What’s more you will be amazed by the ship’s impressive outdoor music screen by the poolside. On-board shopping has never been easier on Radiance of the Seas, with a large selection of Duty-free shops featuring brand jewellery, perfume and much more.